It's back to school week again! So this week is all about Back to School style - for the mums. Starting with The Perfect Jacket. 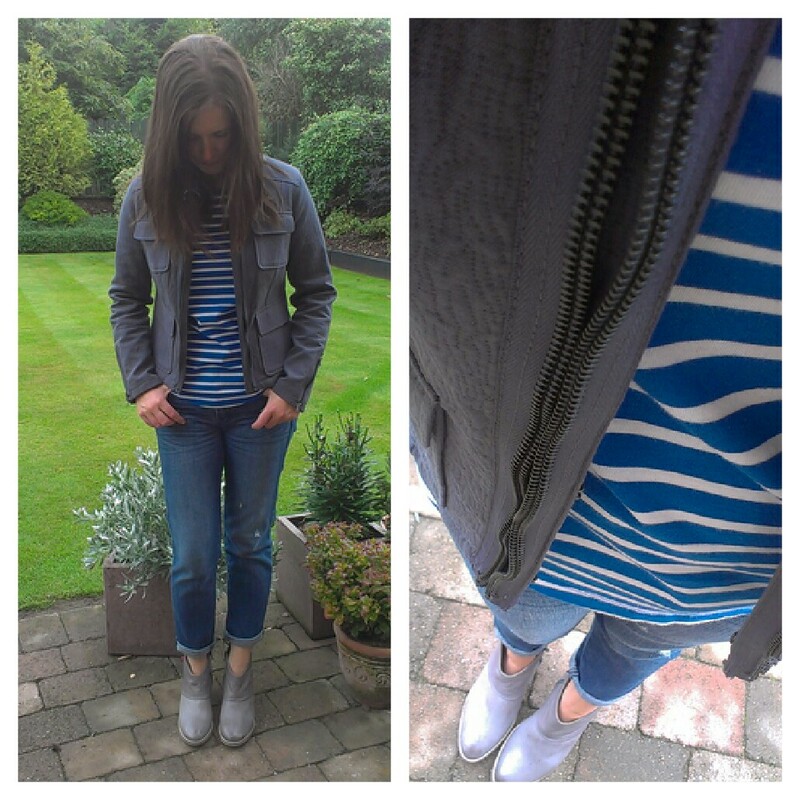 Now I have a lot of jackets but the perfect everyday, school run jacket has eluded me to date. Blazers are too formal, denim jackets don't work if you wear denim jeans and I have yet to find a biker jacket that doesn't make me feel like I'm having a mid-life crisis. Grey is going to feature big this autumn in my wardrobe so this jacket fits in perfectly - I've only styled it 4 ways here but once my autumn winter clothes come out of storage, I'm going to enjoy coming up with more ways to get my price per wear target! 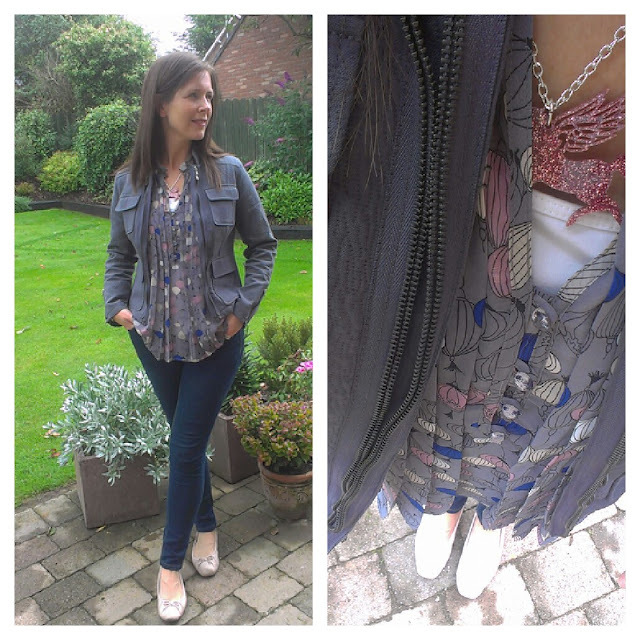 First up - with my lantern blouse and a touch of pink.. Wearing with patterned jeans in the next outfit - and a white pegasus this time! These jeans are my most worn patterned trousers as they have grey and navy in them and fit so well with lots of my wardrobe. Next up, the boyfriends get a look in - along with my new grey ankle boots which I am so pleased with. They are Clarks but past season. I found them on eBay for under £40 - love when that happens. Prepare to see more of them when the weather gets cooler. So there you go, in my opinion, the perfect school run jacket for autumn. It's a cotton/viscose mix but the fabric has a slight quilted feel to it so it's definitely a mid-weight jacket. Dry clean only but not too much of an issue thanks to the colour. I am wearing a 12 and I'd say if you are in-between sizes, to size up. Back tomorrow with Back To School Style - The Perfect Accessories! Loving all 4 ways you've styled the jacket & really do love pegasus necklace! Looks fab fab fab on you!!! 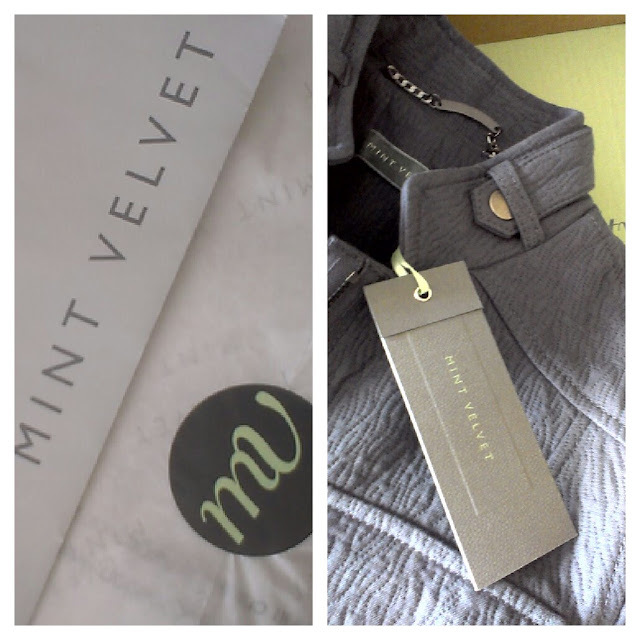 I can't find Mint Velvet in the states. I need to look, because you are correct. That is the perfect jacket! 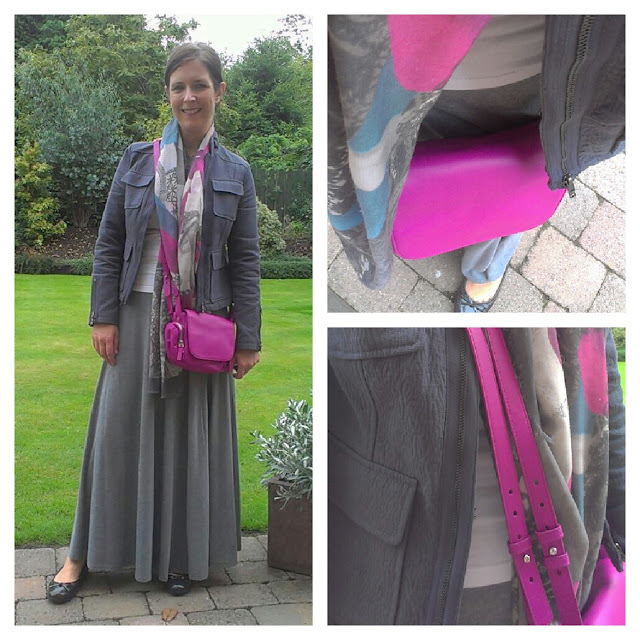 Gorgeous - so versatile - it's the same with my grey Boden leather jacket which I have rediscovered - it goes with so much. 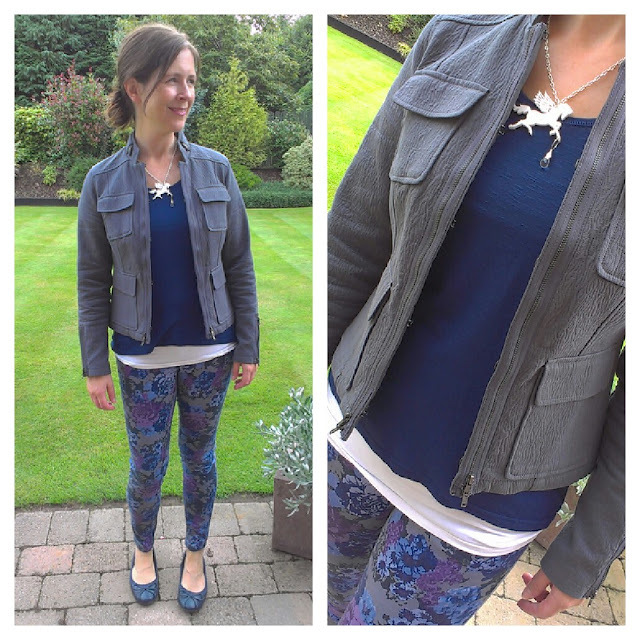 I can see why you love the jacket - grey is so much more flattering than black.